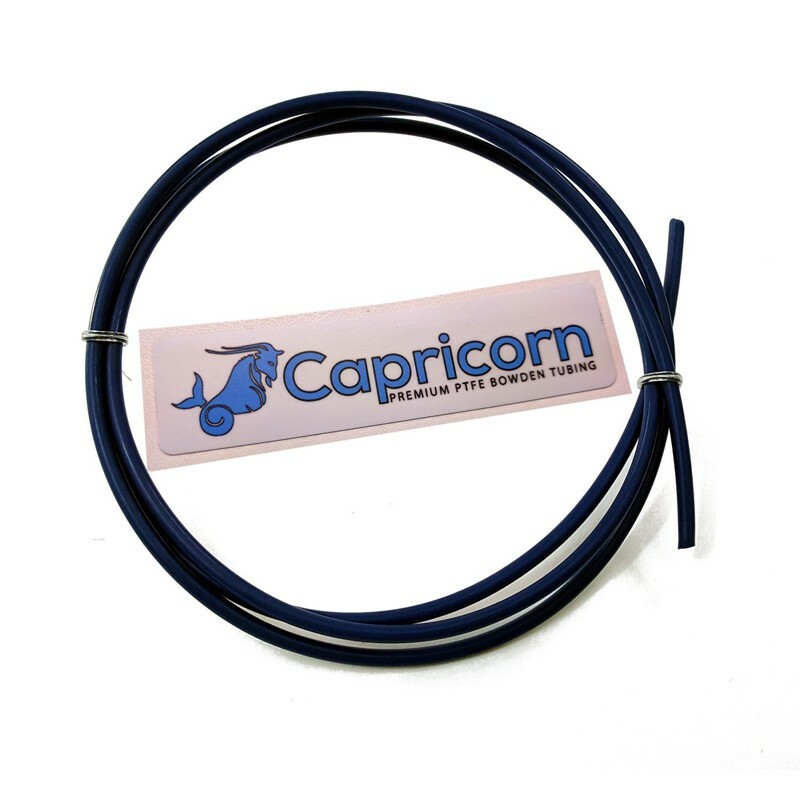 Capricorn tubing is made from the finest pure virgin PTFE. It has good flexibility, abrasion resistance, chemical resistance and higher temperature resistance. Capricorn's XS Series of Professional Grade Bowden Tubing is made from the highest quality PTFE. The secret blend of high lubricity additives turns it a deep blue color. Capricorn’s XS (eXtra Slippery) formula was developed in 2016 where this formula combined high lubricity additives with smaller inner diameter of 1.85mm. The XS series tubing is made with the highest quality ptfe. It is able to withstand even higher temperature which is up to 300°C as compared to other ptfe tube in the market. High Lubricity Additives property make their XS Series tubing the lowest friction Bowden tubing on the market. Less friction means higher responsiveness, higher accuracy prints and smoother feeding. 1.85mm Inner Diameter. It is designed for 1.75mm filament as smaller inner diameter gives greater feeding accuracy. Besides, this also makes it easy to print flexible filaments even on the longest Bowden systems. This chart is applicable to condition where the PTFE is INSIDE the hot end withstanding the full heat.